P. M. Rathod & Co. 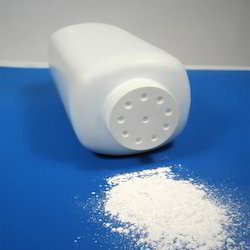 Manufacturer of a wide range of products which include talcum powder fragrances. Backed by state-of-the-art infrastructure and engineering expertise, we are certain to offer our clients a premium range of Talcum Powder Fragrances. These fragrances are used to add soothing fragrance to the talcum powders. We formulate these Talcum Powder Fragrances at our modern machining facility by using top quality ingredients and essential oils, as per the standards laid down by regulatory bodies. We offer these fragrances at most industry leading prices so that every customer can avail their benefits. Looking for Talcum Powder Fragrances ?